Recreational cannabis has been legal in Colorado since Jan. 1, 2014, but as what I like to call the “headquarters of high country” nears the annual Winter X Games, the consumption conundrum remains. The nearly 100,000 attendees that will descend upon Aspen can purchase cannabis — at no less than six dispensaries in the downtown core — but they can’t smoke it. Anywhere. Adding fuel to my fire of opinion this year is the reimplementation of an on-site beer garden, sure to tempt the notoriously rowdy crowd to continue their binge drinking sessions from the Intercept Lot and into each evening’s competitions and concerts (many of whom are also sneaking flasks and/or consuming cannabis and/or far worse substances inside the venue, too). In response to my detailed requests for additional comment related to the increasing number of unofficial cannabis events playing a role in X Games year after year, ESPN’s public relations team provided little else than the above and, “Our focus is on the X Games Aspen event.” Its host, Aspen Skiing Co., declined to discuss the subject at all. Both responses were a personal reality check and reminder that while legalization spreads, there is a long trail ahead toward gaining complete cultural acceptance. This is the very reason I’m embarking on “high country,” a new, regular column you’ll find here. Over the past four years, I have reported on the post-legalization of cannabis culture for The Denver Post’s groundbreaking subsite The Cannabist and other dedicated cannabis media outlets like Leafly. Hardly hard news, but growing into a beat all its own, I’ve covered everything from pot leaf sightings on the runway, smoking etiquette and pop culture moments to product reviews, artist Q&As and dispensary design. As a new industry explodes, a new normal of cannabis culture has evolved with it — allowing once closeted consumers to come out as proud pot smokers, now able to integrate the ritual into more aspects of their lives than ever before. Whether using this miracle plant as medicine or for fun (or both), I want to talk to you, Aspen, about how it enriches lives, inspires creativity, improves relationships, relieves pain and, yes, enhances performance. I am forever passionate about sparking the cannabis conversation and contributing to keeping the momentum of this movement alive. We first met at the National Organization for the Reform of Marijuana Laws’ (NORML) annual Aspen Legal Seminar a few summers ago, where industry leaders assemble at altitude for three days of forward-thinking seminars. Last month, we were both in attendance at the first-ever Aspen High Summit — a meeting of music and marijuana masterminds that dissected the very issue of how public consumption at large-scale events will take shape. Buttermilk (and all of Aspen Skiing Co.’s resorts) operate on federal land, making consuming cannabis on property illegal. Fair. But, cannabis and ski culture have long gone hand-in-hand — especially in Aspen. “I miss a lot of Aspen’s irreverence. I don’t know when we (as a city) got so uptight about this issue. Marijuana has always been a part of our culture. … I got here in 1980 and it was prevalent. Now it’s legal, and we’re trying to make it out like it’s not really us. But it’s always been us,” DiSalvo says. For a town that includes one of Colorado’s highest concentrations of dispensaries per capita — all thriving and generating millions of dollars per year — cannabis is only going to grow into a larger part of our image. Image protectors beware, passage of a social-use bill (note Denver’s voter-passed Initiative 300) is a sooner-than-you-think reality, according to DiSalvo. Another vocal local and legalization activist Chris Lanter, who hosts X Games athletes and high-profile VIPs at his Home Team BBQ restaurant at the base of Buttermilk for the duration of the event, has a cautious outlook. “With someone like Jeff Sessions — who is truly ignorant on the subject and still comparing cannabis to heroin — as long as that element exists, progress will be halted,” Lanter says. If and when that happens, Lanter says he would seriously think about the idea of “jumping into the whole world” of infused cooking (he’s known around town to cater private cannabis dinners for a lucky and very small list of clients). With an uptick in customers, every dispensary in town takes advantage by offering a wide variety of in-store deals, discounts and promotions, allowing tourists to easily stock up on supplies. New cannabis brands like Willie’s Reserve are activating in town via in-store pop-up events. Its exclusive retailer, RootsRx, hosted customers Wednesday night and offered free swag with a chance to win a grand prize package, which will be drawn in store on Sunday (4:20 p.m., natch). At Silverpeak, the weekend is a golden launching opportunity for its exclusive partnership with Green Dot Labs, maker of the new Gobnugget live resin blend and compatible pen, “inspired by the mind-bending STS9 track that draws on the psychedelic flavor profiles of two of their Black Label strain varietals, Citradelic Sunset and Bottlewash. Each purchase ($55 without sales tax) of the STS9 Green Dot Labs live resin with pen (includes battery and charger) allows the customer access to a live show recording and kicks back $1 per sale to Conscious Alliance. Plus, there’s a golden ticket stuffed inside one package, its buyer gaining entrance with a friend to an upcoming STS9 concert (promotion runs for 10 days beginning Thursday). Citing companies like Weedmaps that sponsor professional surfers and skateboarders, Bard is excited to partner with Cannabinoid Water, and introduced their product lines to a VIP list of invitees at “a highly exclusive, multi-sensory experience for the mind, body and soul” at an intentionally undisclosed location Wednesday night. 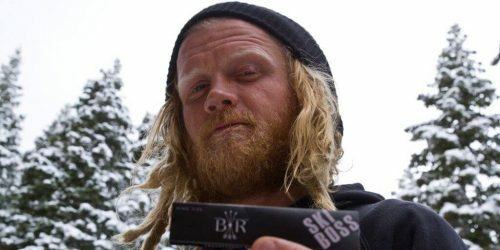 One professional athlete that was among the first to emerge in alignment with a cannabis brand is freestyle skier Tanner Hall, a seven-time X Games gold medalist. In 2016, he inked a deal with Denver-based accessory company Black Rock Originals, with whom he created the SKIBOSS Collection of rolling papers, grinder, lighter and weatherproof case. 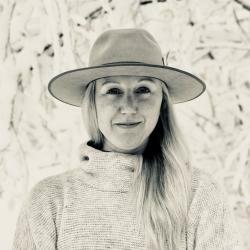 Professional skiers like Sierra Quitiquit are publicly praising the benefits of personal CBD usage on Instagram, but there are still obvious consequences for athletes to face when speaking out — especially in an Olympic year. However, it doesn’t usually deter X Games competitors from exploring the scene when they’re in town. Jayson Vezzoso, president of the Cannabis Connoisseur’s Coalition and The Connoisseur Cup, who in addition to an annual #Xtract Games close-out bash — a culmination of statewide concentrates competitions (open to the public with ticket on Sunday at Bootsy Bellows) — also rents a private home, where he hosts athletes for cannabis-infused massages and other wellness treatments. “We’ve treated a lot of athletes when they’ve gotten injured — obviously without dangerous opioids — and have gotten them back out there before their doctors ever could. There really is a need for this type of healing in sports and X Games is a great platform to show the rest of the world that there is a responsible way to do it,” says Vezzoso, who was born and raised in Carbondale and is now based in Denver. So for everyone reading this as we head into X Games — let’s show the city that we are responsible. Responsible for our own tolerance, responsible for obeying local and federal laws, responsible to Mother Nature, and responsible for putting safety first. It’s the only way to start to chip away at the contradiction of a hard-partying culture where alcohol freely flows — too often, on-mountain. I am hopeful that someday, responsible cannabis use will get treated — dare I say celebrated — as an equal element of our beloved ski town scene. Katie Shapiro’s High Country column appears regularly in The Aspen Times.